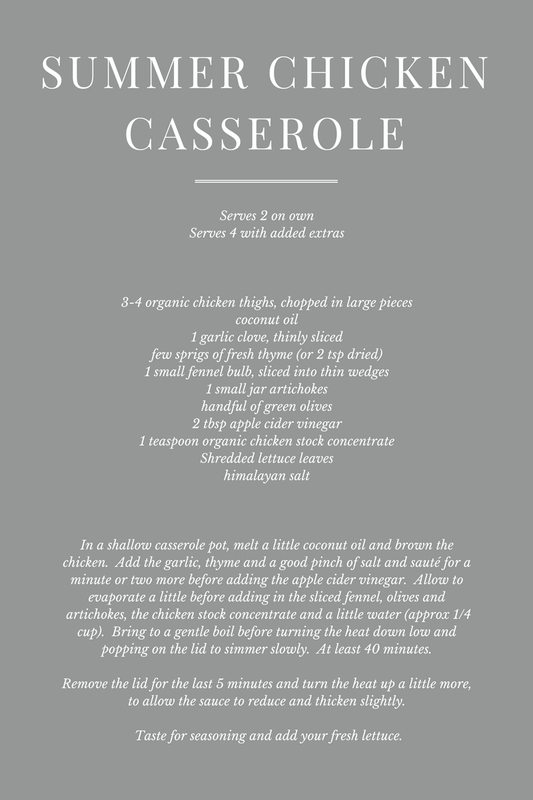 One of my favourite dishes to whip up during the Summer months, when I want to move a little slower. When my body is craving comfort and nourishment, simplicity and of course, utter deliciousness. This dish reminds me of Provence. I don't know why. I never ate it there and I never cooked it there. It doesn't even contain any ingredients native to that land, and in fact, when you really look at the ingredients, you're more likely to picture Italy. But for me, it's the pictures of Provence in Summer. Fields filled with lavender, the sound of dry grass under my feet, grey stone walls and vineyards for as far as the eye can see. My French Summer in a casserole.